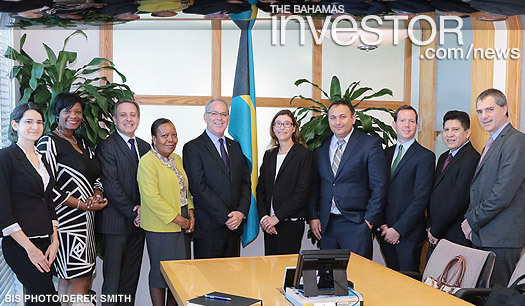 The Inter-American Development Bank (IDB) Mission Team paid a courtesy call on Minister of Financial Services, Trade & Industry and Immigration Brent Symonette, November 20, 2017 at the Ministry’s Offices. 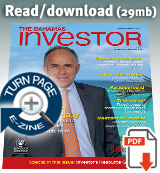 In his address to the Bahamas Institute of Chartered Accountants event in Freeport last week, Minister of State for Grand Bahama Kwasi Thompson said that Grand Bahamians must seek out and promote opportunities. 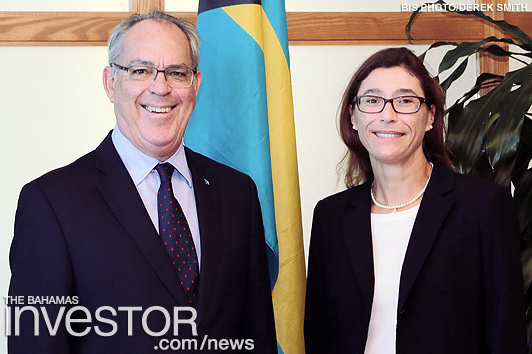 Lombard Odier executives paid a courtesy call on Minister of Financial Services, Trade and Industry, and Immigration Brent Symonette, November 23, 2017 at the Ministry's offices.